I used to finish every book I began, no matter how bad it seemed. To stop reading would only compound the sense of failure the book had already inspired. I suppose that the failure, on my part, was in thinking that the book was worth reading in the first place; that a scan of its opening pages had not alerted me to the fact that it was misconceived/ cliched/badly plotted/ pretentious/narrated by a rabid dog that thought it was a hippo. There was also the fear that the book was not to blame, especially if it was part of the canon, or even just well-reviewed. Because we should always acknowledge the possibility that the fault lies with us, not the book (or at least that we share blame). We can ruin good books for ourselves by reading them last thing at night, when we are tired, or on a train where someone is talking too loudly, or simply by reading the book too quickly. And there are definitely great books that are very uneven, that have both wonderful and mediocre sections (e.g. Lanark and Ulyssess), and that the latter must be endured. Even with some of the very worst books, there is the increasingly desperate hope that the last 25 pages, when the spaceship lands, will turn out to be a tour de force that contains ‘some of the finest passages written in the English language since the end of the War’ (or some other hyperbole). But a few years ago, after 120 pages of Memoirs of a Geisha, I decided to stop. The narrative premise was unconvincing, the writing was leaden, and there were hundreds of books in my room. For me, this last point has become increasingly crucial. I will only be able to read a small fraction of the books I would like to read, and so to waste time on something that is less than wonderful seems ridiculous. These days the difficulty is in deciding when to stop. I don’t, for example, read 50 pages and think ‘Shall I continue?’ If something is enjoyable, this question never arises. Usually it takes longer, especially if I think that the fault is partly mine, that I am just being obtuse. 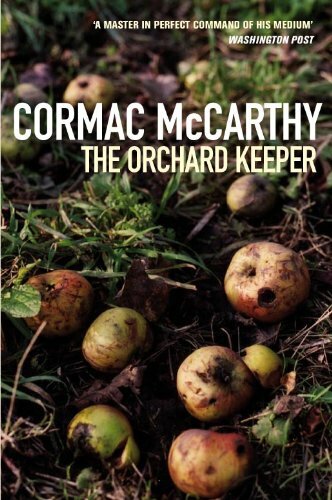 In the case of the book I most recently stopped- The Orchard Keeper (1965) by Cormac McCarthy -it was because I had read 5 or 6 other books by the author, and felt that I knew what to expect. This passage was decisive. The boy followed him for a few paces, then quartered off to the creek again and the man watched him go, his legs disappearing in the mist, then the rest of him, so that he seemed to be gliding away toward the line of willows marking its course like some nightwraith fleeing the slow reaching dawn until the man wasn’t sure that he had really been there at all. Then he came back with the pole and handed it to him. They moved on across the field, through vapors of fog and wisps of light, to the east, looking like the last survivors of Armageddon. The browsing horses jerked their heads up. It was no sound they’d ever heard before. In the gray twilight those retchings seemed to echo like the calls of some rude provisional species loosed upon that waste. Something imperfect and malformed lodged in the heart of being. A thing smirking deep in the eyes of grace itself like a gorgon in an autumn pool. Why it should be a ‘gorgon’ is beyond me- it doesn’t fit any character’s point of view, not even the authorial voice, with its King James cadences. As a result it seems comical rather than resonant. In terms of the passage from The Orchard Keeper, I could probably have dealt with ‘nightwraith’ on its own, but the subsequent description a paragraph later of them being like ‘survivors of Armageddon’ was too much faux-epic for me. And the other thing about ceasing to read is that it need not be a judgement on the author- I’ve enjoyed several of McCarthy’s books, and realise this was his first novel. It’s just that I also have 2666, The Man Without Qualities, The Recognitions, In Search of Lost Time, Wolf Hall, and too many others staring at me from the shelf, and I don’t know what they contain. I have this problem most with factual books. I read a combination of fiction and non-fiction and generally get through most of the fiction I attempt to start. The problem with the non-fiction is I worry about the knowledge I *could* gain if only I had the perseverance, and if only I weren’t so dumb as to miss the subtle and illuminating points hidden therein.